Many of us are eating avocados every day – or at least that’s what the 90,000+ avocado toast posts on Instagram would suggest. This green fruit seems to be everyone’s favourite. But have you thought about what eating avocado every day is doing to your body? Here’s a big myth debunked: for one, eating avocados regularly won’t make you fat. Yes, they are high in fat, but it’s monounsaturated fat, which is the “good fat” that helps lower cholesterol – same goes for olive oil, which is a major element of the Mediterranean diet, which we’ve all heard is one of the healthiest diets in the world! You will want to keep serving size in mind, though. Book believes in an individual approach, instead of a one size fits all, when it comes to serving size. Including avocado in a meal can help you feel satiated for longer—so you may not be ravenous for a snack a couple of hours after your lunch. Research from a study published in 2013 in Nutrition Journal found that eating half an avocado at lunch resulted in the overweight participants feeling fuller three to five hours after the meal. Feeling full and satisfied for longer after your meal is good for everyone but especially so for those trying to lose weight, says Book. She recommends eating avocados as a replacement for butter, margarine or mayo in sandwiches, given its creamy texture. “Adding some to your morning smoothie will give it a rich texture and the added bonus of good fat that will keep you going until lunch,” she adds. Also, you can always simply add slices to salads, chili, stews or salads, or just on their own – Book loves them as a grab and go snack with just a bit of sea salt and pepper or hot sauce sprinkled on top. This creamy fruit is an excellent source of fibre. In a typical avocado, you’ll get about 10 to 13 grams of fibre. Fibre isn’t broken down by the body and since it isn’t digested by the body, it doesn’t affect blood glucose levels. In fact, according to the Joslin Diabetes Center, if you’re counting carbs as a way to plan your meals, you can deduct the number of fibre grams from the total number of carbs. Additionally, a high-fibre diet (one that contained 50 grams of fibre a day) was found to help diabetics better control their blood glucose compared to those who consumed less according to a study that was published in the New England Journal of Medicine in 2000. 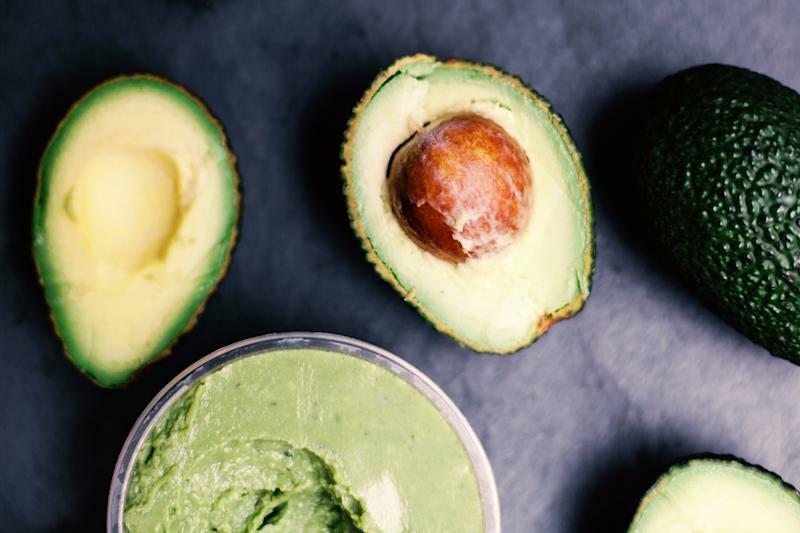 While there’s no way to turn back the hands of time (although plenty of people go to great lengths trying), avocados can help minimize the signs of aging, thanks to boasting a powerhouse of antioxidants. Free radicals damage cells and over time the damage accumulates leading to aging. Getting avocados into your diet can thus contribute to aging healthily. In fact, a study from 2005 found that adding avocado to salads or salsa can help the body better absorb carotenoid antioxidants two to five times more easily. With so many health benefits, should we be eating avocados on the regular? While daily guacamole and avocado toast is a diet many of us would gladly follow, Book says that while avocados are great for so many reasons (“Heart-healthy fats, a good source of fibre, potassium and folate,” she notes), they do remain high in calories. She suggests that if you are on a strict diet and really watching your calories, you may want to monitor your avocado intake.